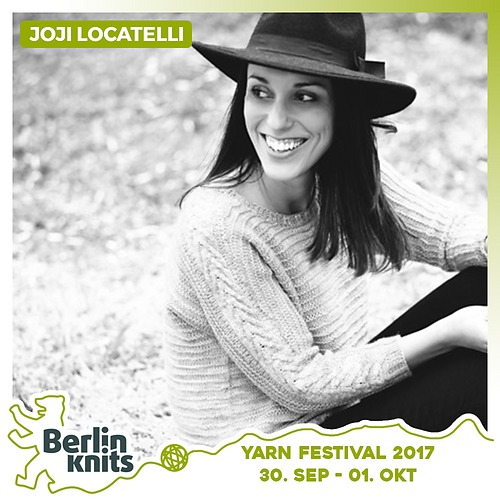 Joji Locatelli Design your own crescent shawl Ticket Joji Locatelli - Joji Locatelli - Workshops | Berlinknits - Yarn Festival 2017 - 30.9. - 1.10. The way these shawls are constructed is easier than most people think, and you can achieve really amazing finished objects. How different yarns behave when worked up in a crescent shawl. At the end of this class we'll discuss briefly how to write instructions for all these steps and turn them into a good shawl pattern.